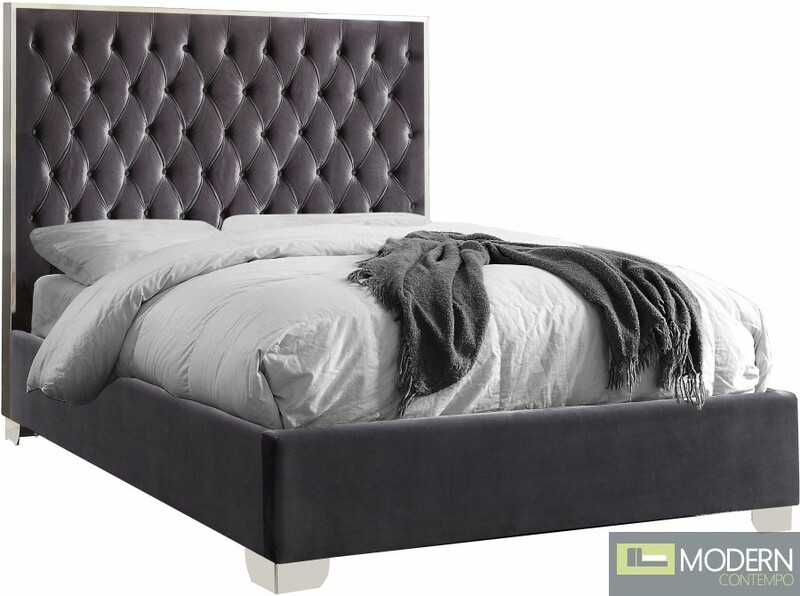 Make the Lexita grey velvet bed part of your dream bedroom setup. This bed has all of the bells and whistles you want, including a super tall headboard that stands nearly five-feet tall. The bed is covered in grey velvet fabric for a luxe look, and it's deeply tufted for added luxuriousness. The headboard is soft and welcoming against your back and head as you read or watch TV in bed, and the bed rests on chrome legs for dependable sturdiness and durability. Use it without a box spring or foundation, since the slats are included.